Have you wanted to use the Aircraft Glide envelope, but don’t have the necessary details to get it going? Let’s have a look at what’s involved. First, turning the function on. From the En Route pane, tap the Map Settings icon (two cogs, top right) > View Items > Airport Glide Range. If your aircraft does not yet contain the necessary information, you will be prompted with a small window (see above). 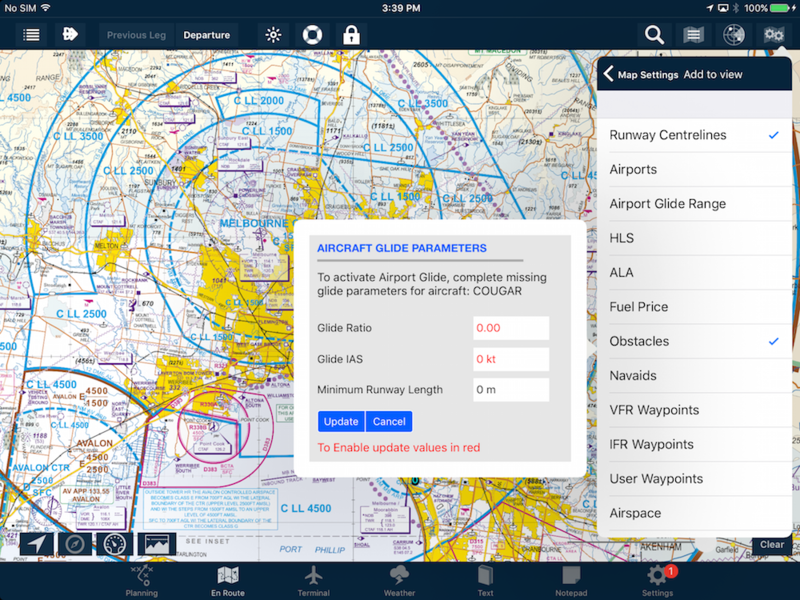 The two fields with red text (Glide Ratio, Glide IAS) are required data, Minimum Runway Length is an optional field. We’ll discuss why a little later. First, let’s discuss the Glide IAS field. That’s pretty straightforward. We all should know the best glide speed for the aircraft we fly. Place that in this field. If your best glide speed changes with your gross weight, enter the figure associated with MTOW, that way it’s only going to get better as you burn fuel. AvPlan EFB needs to know this figure because it takes into account how your aircraft will be affected by forecast winds during the glide simulation. What goes in the Glide Ratio field? Well, if you already know the glide ratio you can type it in here. 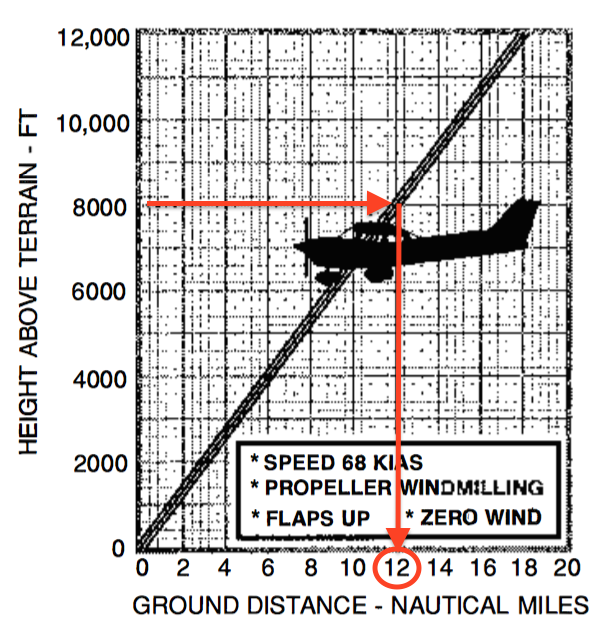 If your aircraft’s glide ratio is 10:1, we at AvPlan take the :1 part as a given, so simply enter 10 in the field. You can also enter figures with up to two decimal places here. For example, if your aircraft POH says the glide ratio is 8.92:1, then simply type 8.92 and tap return. My POH just gives me a graph – not a ratio. How do I work it out? Take an example altitude – one that lines up nicely with a distance. In this case, 8000 feet lines up well with 12 Nautical Miles. Right now, we’re comparing apples to oranges. In order to work out a ratio, we need to compare apples to apples by converting Nautical Miles to Feet. You can do this by multiplying the Nautical Miles figure by 6076.12. This equals 72913.4. Now we have apples to compare. Divide that number by the height. 72913.4/8000 = 9.114175. There you have it! Tap Settings > Aircraft Type Database > [your type] > Basic Performance and scroll to the bottom to enter 9.11 in the glide ratio field. Tap the back button two or three times and select Save when prompted. What about Minimum Runway Length? 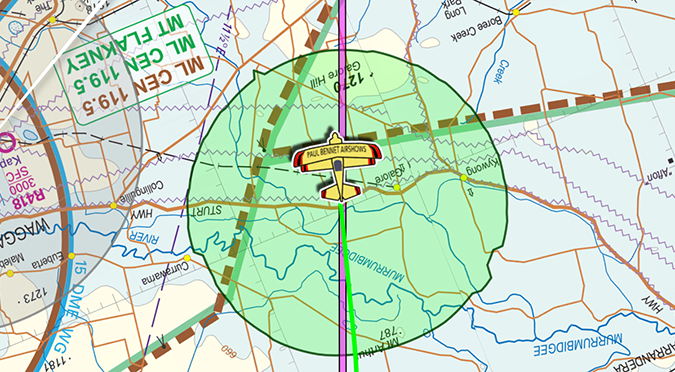 The minimum runway length is used by the Pro Upgrade subscribers as a flight planning tool. Any airports with known runways shorter than the figure you set will not be taken into account by the Glide algorithm. If you are a VFR-Standard subscriber without Pro, you don’t have to enter a figure in this field. 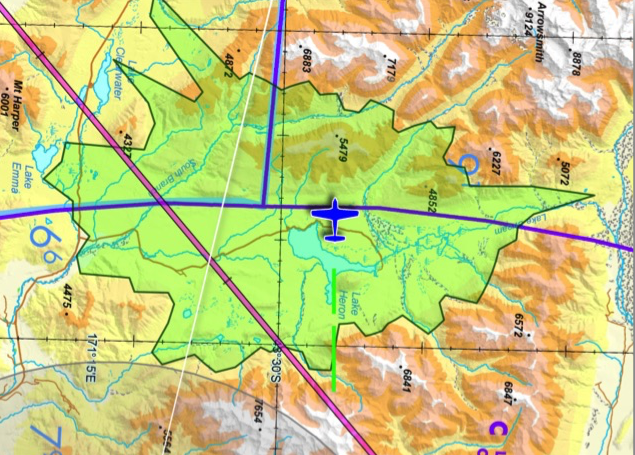 You can read more about how the Airport Glide Range works in flight and during planning by going to section 5.13 in the AvPlan EFB User Manual.